You'll find plenty of family-friendly amusements and fun things to do when planning your North Myrtle Beach vacation. The only difficult part will be deciding which attraction you’d like to experience first! Choose from past-time favorites like the OD Pavilion Amusement Park and miniature golf, or ignite your inner adrenaline junkie with unique wildlife adventures, ziplining and watersports. No matter the season, there are plenty of family-friendly activities to keep you busy during your next vacation. Come explore all the amusements and family fun North Myrtle Beach has to offer! North Myrtle Beach is jam-packed full of fun and exciting outdoor adventures to enjoy year-round. Whether you’re looking for things to do out on the water or prefer to spend your time inland, there are plenty of outdoor activities and attractions for beachgoers of all ages. 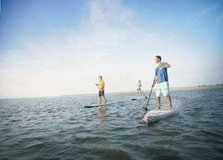 If you are looking for fun water sports, look no further than North Myrtle Beach! From parasailing and jet skiing, to boating and surfing, the water activities are endless. 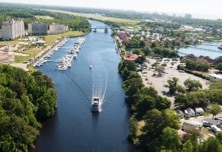 North Myrtle Beach also offers exciting boating excursions, private charters, casino cruises and riverboat cruises. Aside from the beautiful beaches, North Myrtle Beach also is well known for its miniature golf. Home of the annual US Mini Golf Open, the area boasts many themed mini golf courses. Whether you’re playing in the championship or just making fun memories with the family, don’t leave the beach without trying for a hole in one. Looking for a thrilling adventure for the whole family? North Myrtle Beach has several wildlife attractions that allow you to get up close and personal with nature. 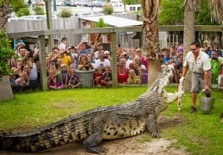 Whether it is exploring the world of reptiles at Alligator Adventures or interacting with lions, tigers and bears at the TIGERS Preservation Station, North Myrtle Beach is one big wild adventure! Land lovers who dream of soaring through the treetops like Tarzan will love ziplining in North Myrtle Beach. 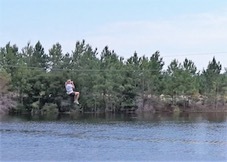 If you’re looking for something different to do with the kids, ziplining delivers with some of the most unique views of the Grand Strand from high in the sky. Spend a delightful afternoon or evening enjoying one of our live musical productions. 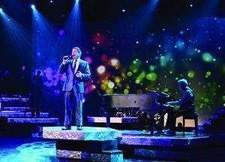 The shows are filled with high-energy music, dancing and comedy. The talent is superb! Create new memories while learning about the past at one of North Myrtle Beach’s historical landmarks and attractions. Whether you choose to visit the Governor’s Lighthouse, OD Pavilion or one of our other area attractions, your experience will be just as rich as the history. Bring your family and make timeless memories that will be cherished for years to come.